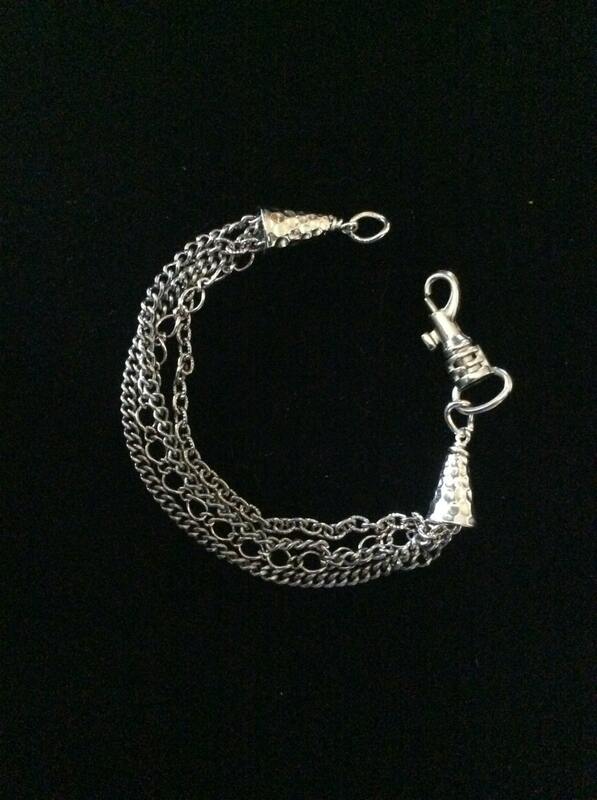 Four different antique silver chains joined together to make a lovely bracelet! Worn alone or with bangles, it's a bohemian spirited statement! 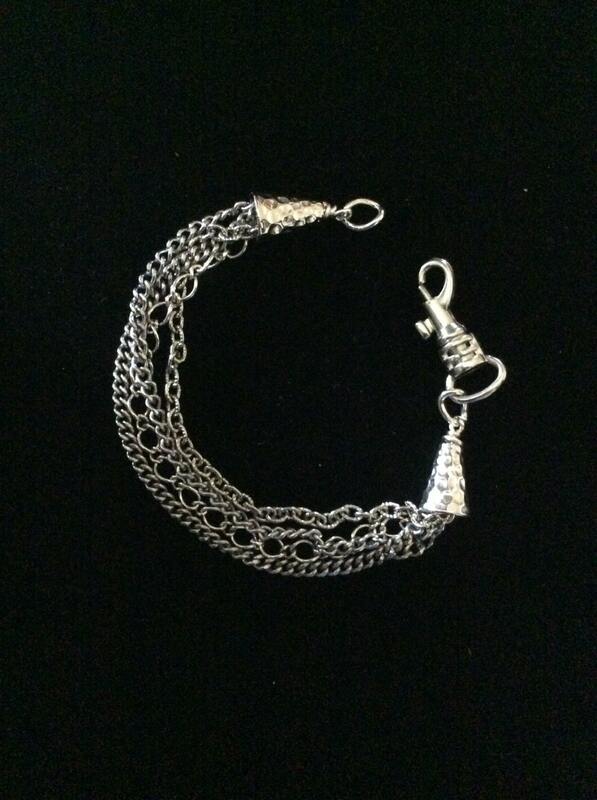 This piece will look great worn with jeans and a tee or with a simple elegant black cocktail dress. 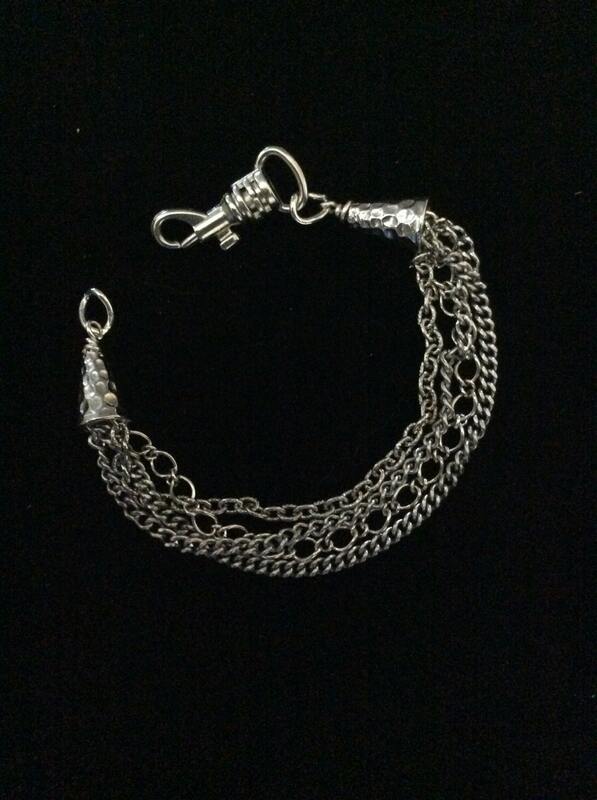 Antique silver cones at each end serve as a gathering place for the ends of the chains. A unique snap clasp adds a boho twist to an otherwise traditional bracelet. It's this juxtaposition that makes it uniquely you as you make a choice to wear pieces that speak to your independent style! 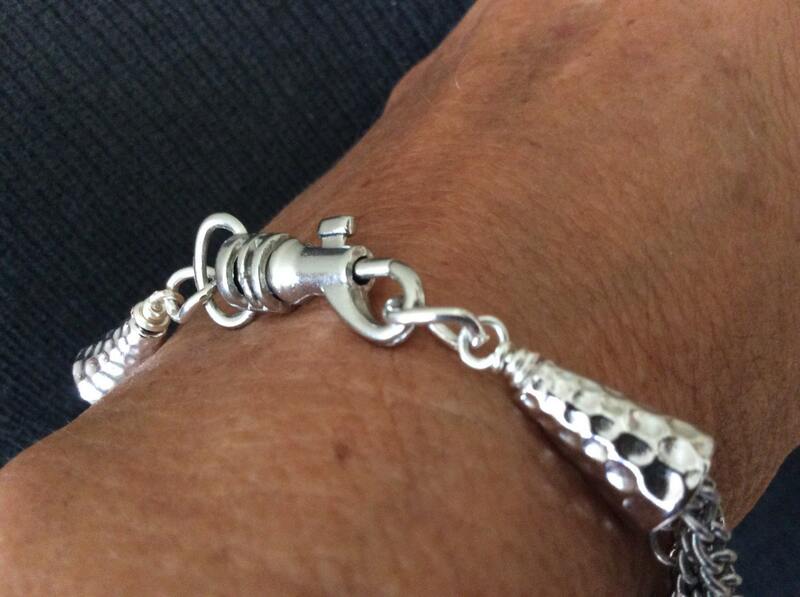 The bracelet measures 6 3/4" on the bracelet mandrel and can be lengthened or shortened upon request. And it's not always about pieces made from precious metals (where in the back of our mind we are concerned about being ultra careful about our jewelry). It's for the woman who thinks in terms of common sense but still seeks to express herself. A classroom volunteer, a gardener, a home decorator; she is practical when it comes to what to expect from her everyday jewelry, and now has the knowledge that these particular pieces can transition into formal wear when called on to do so! I hope you find these pieces are for you. They're affordable, I stand behind them in terms of durability, and it is my sincere hope you will find the individuality you seek. Always know the intention this creator had in mind in designing each of these pieces. And that would be you ; the woman seeking a way to express her unique-ness, her special-ness, and her very one-of-a-kind-ness😉! Remember, shipping is free in the US, and each item arrives gift wrapped either as a gift for you or someone very special. 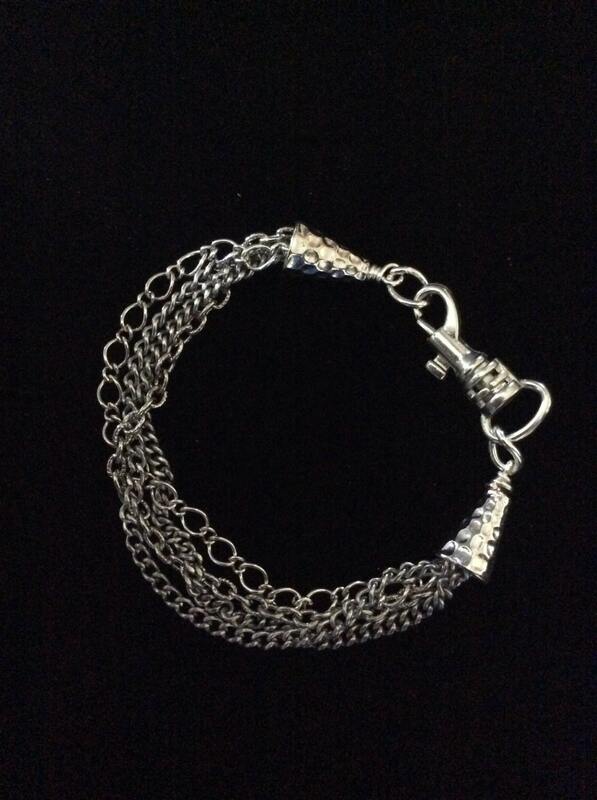 If you would like this jewelry piece delivered to a different address, just convo me. I would be delighted to enclose a personal message from you!